QUTAB MINAR – All About India ! ABOUT – Qutab Minar is one of the famous world heritage sites, Qutub-ud-Din Aibak built this unique structure in 1192. It was made up of red sandstone and marbles, it is a tall tapering tower of height 240 feet with the base diameter of 47 feet and with the top diameter of 9 feet. It is the tallest tower in India having 5 floors and is situated in Delhi. Every year huge number of people visits Qutab Minar to roam around. 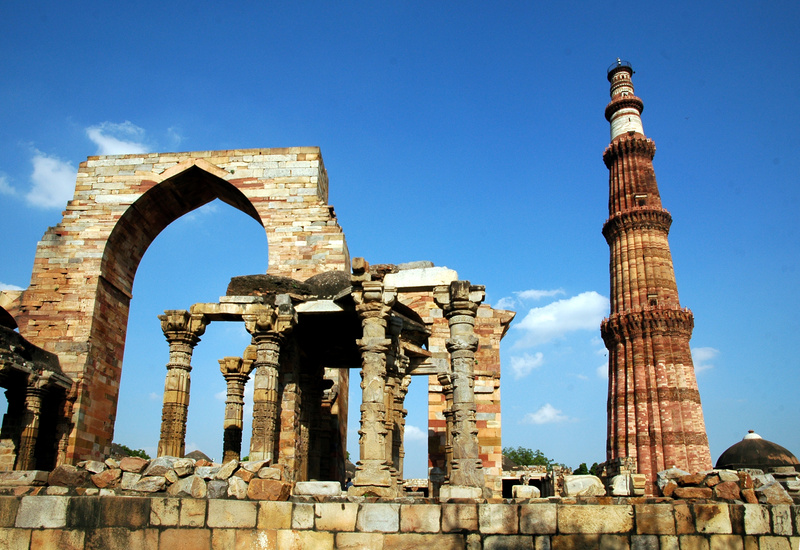 Apart from Qutab Minar, Qutab Minar complex consist of Quwwat-us-Islam Mosque (the first mosque to be built in India). It is very nice place to hang around with your family and friends. REASON BEHIND – The story behind the construction of this tower is the celebration of Muslim dominance in the Delhi after they defeated the last Hindu ruler of the Delhi.